Remember a certain Suzuki 4x4 from the '80s-'90s that was all the rage? 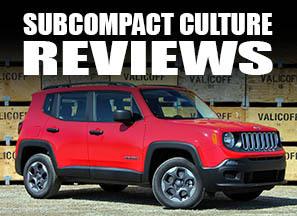 It was small, cheap, and extremely capable off road? Of course you do—it was the Suzuki Samurai. The Samurai, which is known as the "Jimny" (not to be confused with "Jimmy") in other parts of the world, disappeared from U.S. showrooms in 1995, with the larger Sidekick taking over Suzuki's 4x4 duties in the States. However, in other parts of the world Suzuki kept producing a subcompact 4x4, and it remains in production today, although much updated from the U.S.-spec Samurai. The Jimny actually dates back all the way to 1970, when Suzuki offered the little off-roader with a tiny air-cooled, two-cylinder 360cc engine. However, a lot has changed since then. However, the Jimny has remained true to it's core: It's a small, Spartan, off-road capable vehicle that delivers excellent fuel economy. The current Jimnys are offered with a choice of 1.3-liter engines (one with variable valve timing, one without) or a 1.5-liter diesel. 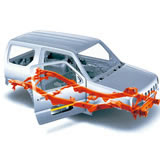 They feature four-wheel-drive (complete with a 4WD high and 4WD low gearset), a true ladder frame, and solid front and rear axles—the preferred front suspension of off-road enthusiasts. (Currently, only the Jeep Wranger, and heavy-duty pickups such as the Ford Super Duty still offer this robust suspension type in the U.S.). Fast it ain't. A 0-62 mph jaunt takes between 14.1 and 17.2 seconds depending on engine and transmission choice. However, this little beast is frugal at the pump: Nearly 40mpg on gas; no doubt more with the diesel. Curb weight 2,337-2,546 lbs. 3,760-3,785 lbs. The Jimny is a popular off-road vehicle in Japan and Europe, and there are plenty of companies offering suspension, engine, and drivetrain upgrades to make these little vehicles extremely capable off the pavement. In fact, a look through Japan's 4x4 Magazine, reveals multiple advertisers selling Jimny upgrades. 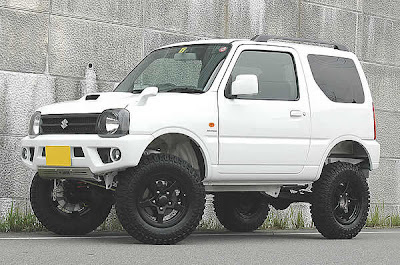 For example, check out www.imageon.jp, which sells some pretty extreme Jimny upgrades, or www.autocross.co.jp, also offering some serious Jimny products. 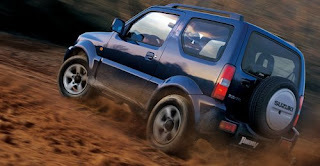 Since the Samurai was offered up in the U.S., is there a chance the Jimny could come back to the U.S.? It certainly would be an unfilled niche in the U.S., since there are no more small 4WD vehicles here anymore. Perhaps with a bit more power, some crash testing, and time, the U.S. could see a Jimny ... er Samurai again. I know I'd be in line to get one, as would a lot of off-road enthusiasts looking for an alternative to the Jeep Wrangler. Nice! I'll take a 1.5 diesel please. Oh wait, who am I kidding? I live in the USA. Fail. Yeah, I'm with you. Shoot, I'd take the gas version if that's what they offered. 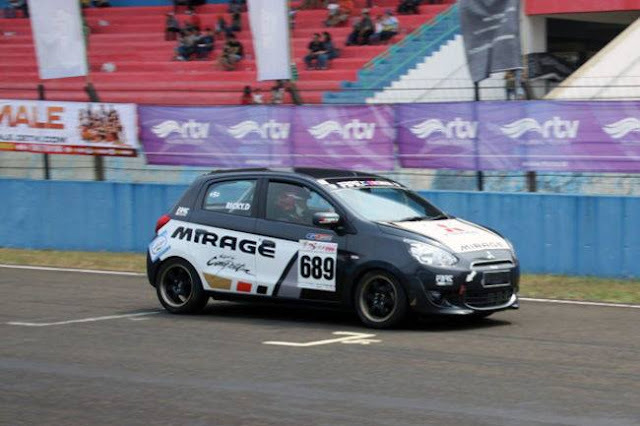 Why does it need a bigger engine? Sell it as it is. That's why it will fill a niche, because everyone else is going for more power, bigger and badder. Cheap, simple, durable, reliable and easy to work on are why the original Samurai did so well. I would love to see the diesel version sold here. I too would like the diesel version, but I'll "settle" for the VVT gas engine. I would buy one today as is.....I had a samuria and wish I had never gotten rid of it. Please tell Suzuki to bring the Jimny to the states. Ill take to one for a daily and one off road. But both have to be diesel. Sign me up, any style or engine! I also would love to see the Jimney come to the USA again. We definitely need a small, inexpensive 4x4 again. Been far too long! I want one just so I can yell out "Screw you Ralph Nader, you lieing SOB!" My Samurai was the best car I ever had, simple and it worked. As an owner of a Suzuki Sidekick, I would love to be able to still buy a small, capable, 4WD vehicle, especially a two door. However, that segment, sans the Jeep Wrangler, is completely gone. I agree, the Samurai is a great car! As time passes there are fewer of these around, and even the newest models are showing their age. Bring the Jimny here, and you will have a guaranteed replay of the Samurai's previous success (minus the BS lies created by CR). I still hold hope Suzuki will bring the Jimny over someday. I'd love a new, small, fuel-efficient 4x4! 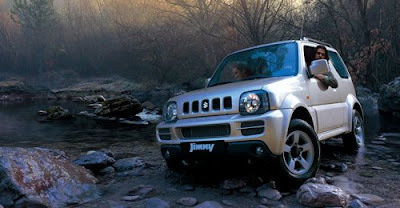 I would love to See Jimny in U.S. It looks that we don't get the best that's out there. Many people don';t even know that it exists. My household would surely own one. Tired of the road boats here in U. S.! I am the owner of a 1987 Suzuki Samurai, which I have owned for 27 years. I never had to start replacing parts until 4 years ago. My purchase of this vehicle was the best money I ever spent. And now, I want a Jimny to go with this Suz.